The PS Vita lives! Well, in Japan at least. 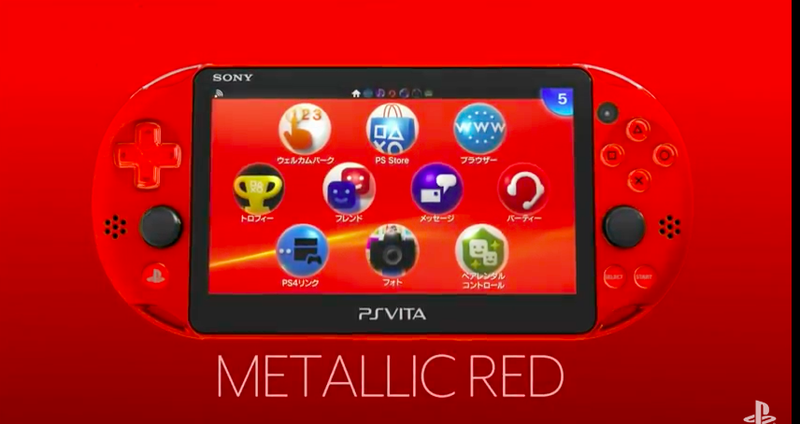 On December 1, two new PS Vita colours will be released in the country. The colours are Silver and Metallic Red. Vita has a steady stream of games coming out for it in the west still too. Sony threw it under the bus but it's still alive. It's huge in Japan. I was there about a month or so back and there were more Vita games on the shelves than PS4, XBone and Wii U combined. Maybe there were so many on the shelves because they weren't selling? Or did I just get wooshed? I still have my launch vita with the natty OLED screen. It never got a big list of AAA titles, but as a platform for indie games it's truly excellent. And it has XCOM. Xcom ran pretty great on it, and the controls were well thought out. I have the OLED one too, the Vita has been amazing for me, with young kids I don't get much at home screen time so it is great for my commute. Just picked up NFS: Most Wanted in the sales which looks great and is a lot of fun! Black splodges were always there, it's a bit of a trait of OLED displays manufacturing - you just now know they are there now! I almost want to update to the 2000 to kill the splurges on mine. Well worth it. I finally took the plunge a couple of years ago simply because I had such a huge library of games accumulated for it (via PS+, not even counting the Vita versions of cross-buy titles) that it didn't really make sense NOT to have one. Then the original OLED version went on sale just prior to the new one coming out, and it was too good to resist. I mostly only use when I'm travelling (prefer big-screen gaming at home) but even so I have no regrets whatsoever. It's a great device with some great games as well as being handy for some retro stuff (I recently started a replay of FFVII on it, plus a couple of collections of classic arcade games). But yeah, the UI could be... less ugly. Hmm. A two toned lime green one would have been cool. ...go the VITA!